Listen to my Prayer Songs. Download them and see lyrics to all my Prayer Songs. Discover exciting and spiritually rewarding Catholic Travel Opportunities. Read my Homilies, Bulletin articles and the Reflections of others that have touched my life. If you wish, make a gift to one of the charities that I personally support. 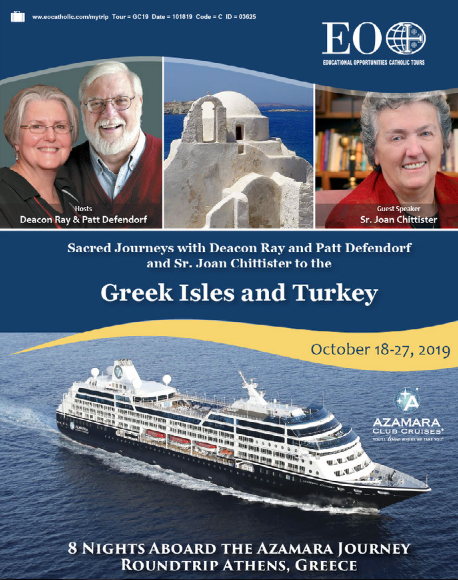 For over 35 years, Pat and I have traveled with Educational Opportunities Christian Tours. A few years ago, I was asked to head up EO Catholic Travel. This section features some of the travel programs that we are currently offering. 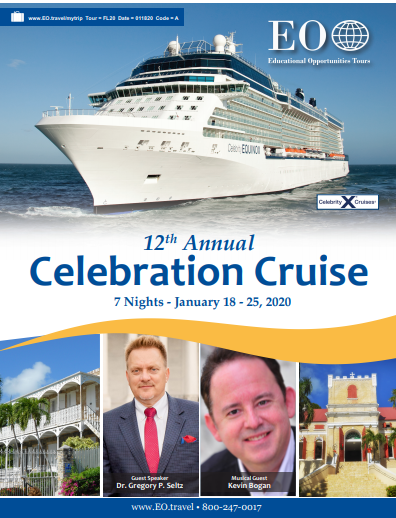 On most of the travel programs below, Pat and I will be serving as Cruise Directors and/or Hospitality Staff. We would love to have you travel with us. Click a brochure below for more information on each trip. 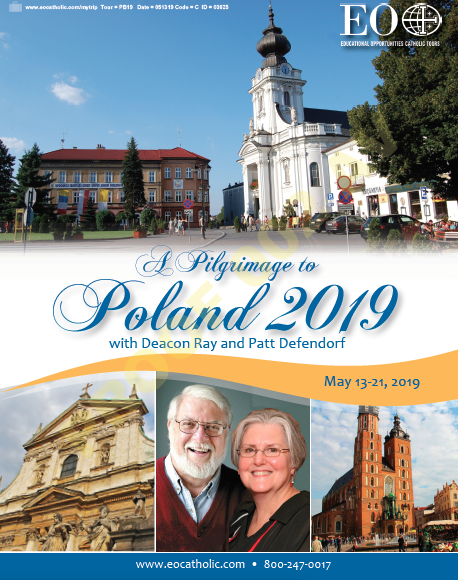 If you register online, please list “Deacon Ray Defendorf” as your Tour Host. My Tour Host ID# is 03625. 7-Day Caribbean Cruise featuring the ports of Punta Cana, Dominican Republic, San Juan – Puerto Rico, Charlotte Amalie – St. Thomas and Nassau – Bahamas. 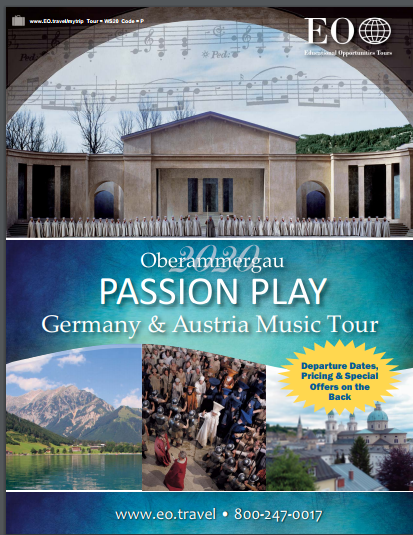 Since 1634, the most famous Passion Play in the world has taken place in Oberammergau. The tradition of putting on the play about the suffering, death and resurrection of Christ every ten years, will be continued for the 42nd time in 2020. 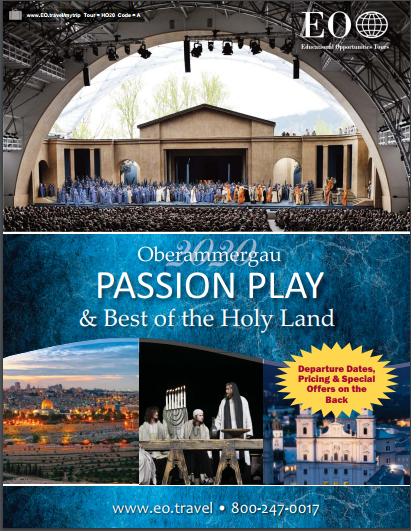 It is regarded as the most important Passion Play in the world. 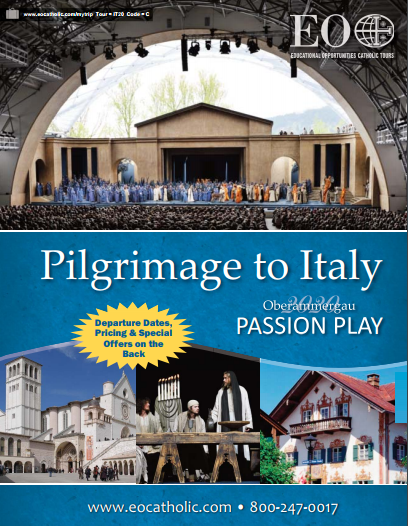 EO Catholic will offer these and several other Pilgrimages that will included a performance of the Passion Play. Tickets are limited so early reservations are suggested. Joining the All Saints Academy preschoolers in a Thanksgiving song. During fourteen years as founder and director of Celebrate Life, a music ministry for teens, Deacon Ray first composed, performed and recorded many of his original prayer-songs.